I spent the week backpacking through a backward sort of place - once a vast civilization, now wilderness. Grand Gulch cuts into the Colorado Plateau on a meandering route to the San Juan River. 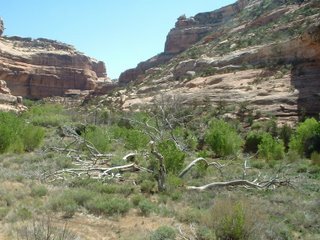 It's a maze of sheer sandstone cliffs, towering cottonwood trees and scarce water - even in May. For some reason, about 900 years ago, many hundreds if not thousands of people decided to make their home here. They built a city of sandstone structures high in the cliffs - most accessible only to the bravest and strongest, but some accessible to anyone with some time to kill and a willingness to drink stagnant, salty water for four days. This place is so congested with ruins that a hiker could randomly look up at almost any point in the canyon and see something - rock art, a kiva, another symmetrical stack of rocks. 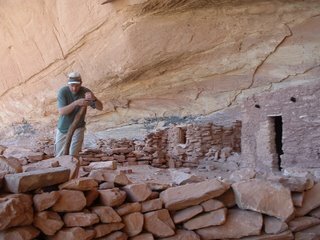 In the four days I spent in the canyon, stumbling over a cluster of pottery shards or even a human forearm bone became commonplace - almost boring. Not that I mean to diminish the experience in any way. It's just hard to spend the entirety of four days locked in wonder. On day 3 we lost Craig. 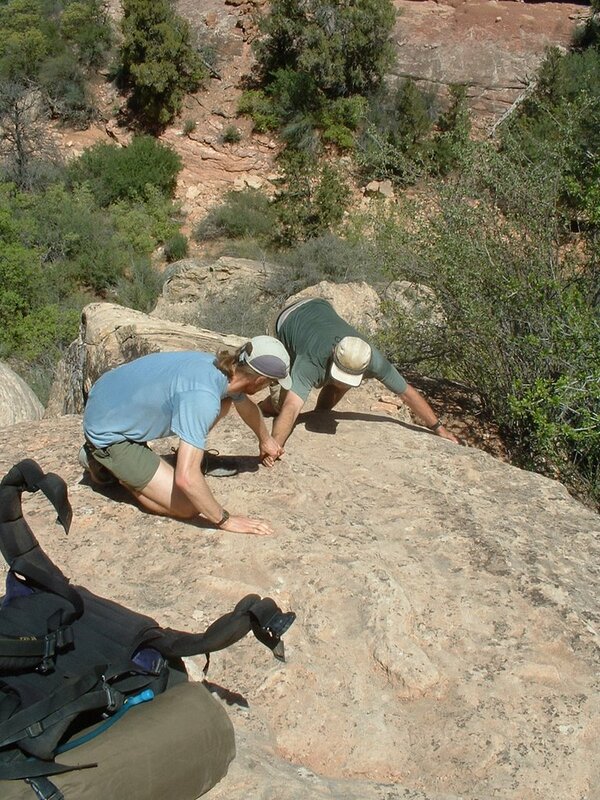 Backpacking is a strange state of social recreation, especially on a four-day trip. It's not quite enough time to make the dried beans and shredded tortillas in your pack sound appetizing, but it is long enough to to put hikers into the backpacking stupor - some might call it "the zone." You've already spent several nights working on rusty survival skills with the same people, bickering jokingly (and then not so jokingly) about startchy pasta and sore knees. So when you set out on the trail, there seems to be less talking and more rhythm. The result of this by day 3 was stretching our group out for several miles until we had no idea who was in front of the other. By the time we arrived at a possible camp, Craig had been missing for six hours. While we organized a search, I started having a lot of anxiety. I joined the second leg, down-canyon party. 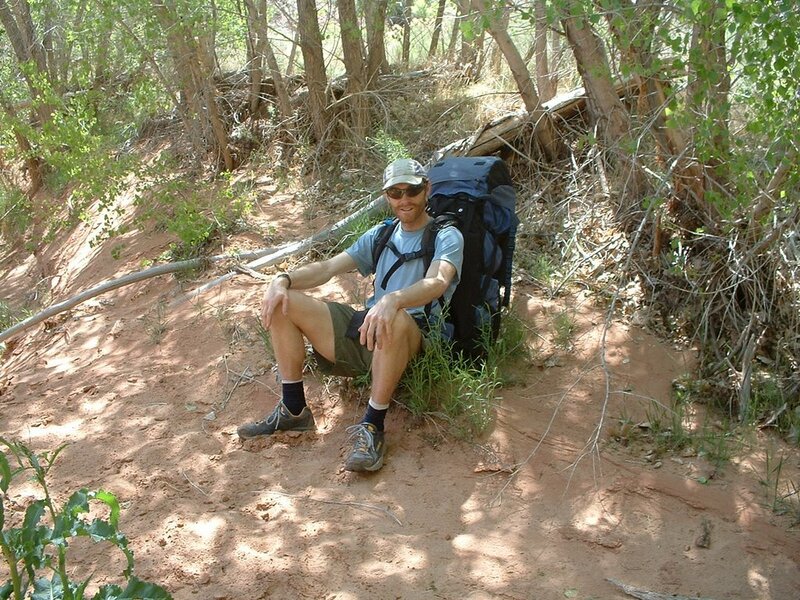 We sat in a clearing near Split-Level Ruin and waited uncomfortably for Bryan to complete the up-canyon run. There was no getting around assuming the worse. And for the first time during the trip, as I waited in the shadow of the perfectly-preserved remnants of a lost civilization and the towering, impassable canyon walls that paralyzed it, I felt so small, so useless against the violent geology and relentless march of time. 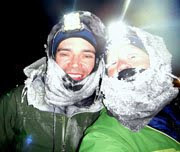 When Bryan returned from upcanyon with no news, Geoff and I set out the way we came in a near-sprint, or as close as you can get to running in thick sand. 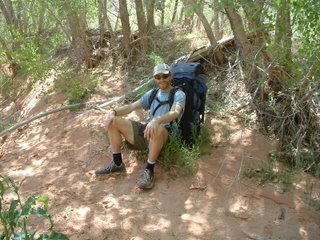 We fully expected to find Craig sprawled out on the trail; we couldn't think of any other reason why it would take him eight hours to go five miles. We ran into him about a half-mile later. He was sweating but smiling, completely unaware of our anxious rescue effort. He told us he took a wrong turn and hiked up a side canyon - for three miles. It's funny how we never assumed the obvious. Getting lost is human nature, even when locked in a canyon. But it's funny how anxiety fades, adrenaline tones down, and suddenly you're seeing this sprawling sandstone graveyard in a different light. I was happy again to stretch my legs in the sunlight, strenghten my quads while bouldering with a 35-pound pack, touch soft, green leaves for the first time since September and run my toes through the hot sand that I missed so much. Every time I visit the Colorado Plateau, I convince myself I could make a life in the sprawling emptiness. Unfortunately, I'm much better at weathering nine months of winter than I could be in nine months of intense heat and sun. As it was this week, it rained on us all day Tuesday, became cold enough that night to freeze all of our produce and scatter frost everywhere, and fell into the 40s every other night of the trip. Still, it felt refreshingly hot, soaked in sun, daytime temperatures in the mid-80s, which, up in Alaska, I may not see again. Sounds like a fun trip! How close were you to the Four Corners region? Looks great! 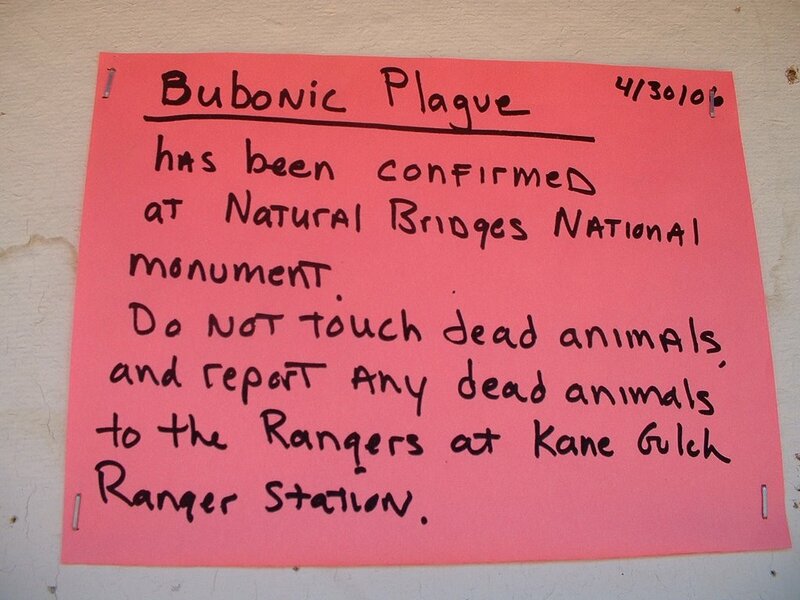 Reassuring to run across a Bubonic PLague warning, eh? Have a great trip! Jill, its amazing, we were in the same basic area at the same time. 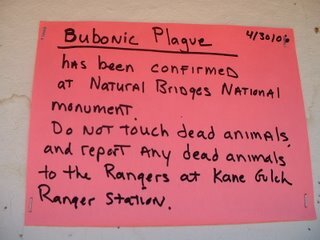 We were Fishing on the San Juan (in NM however) on the same dates. We were NOT transporting the same way however. We were either driving or floating down the river. It appears we were somewhat south of you, just south of Durango in NM, below Navajo dam. 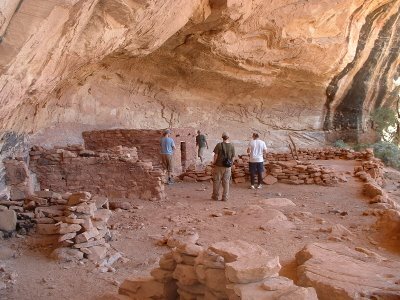 Our last trip there, we did do some considerable hiking in the Mesa Verde area, so we saw similar sites.